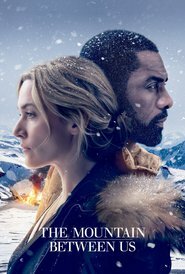 Stranded after a tragic plane crash, two strangers must forge a connection to survive the extreme elements of a remote snow covered mountain. When they realise help is not coming, they embark on a perilous journey across the wilderness. Idris Alba and Kate Winslett are pleasant together, but the movie is just not suspenseful enough. It’s more romance than adventure and the romance is very predictable (actually, the whole thing is predictable), the story is farfetched, and it all descends into cheesiness by the finish. The two main characters would look a lot worse than they do if they’d really survived what they did. Wait for it on DVD if you must see it.